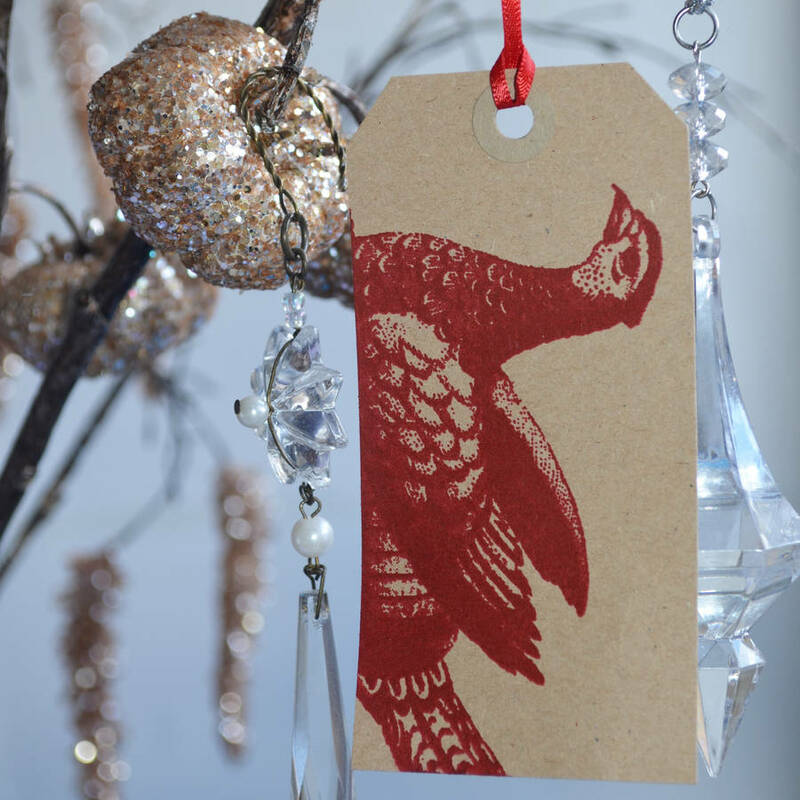 These special hand printed manilla gift tags are inspired by festive animal engravings, tasty gourmet feasts and vintage recipe illustrations. Please note the colour of the tag is closer to the photo of all 5 tags together. They are not the rougher brown tags like brown paper bags but have a smoother surface and are a much lighter shade of brown. 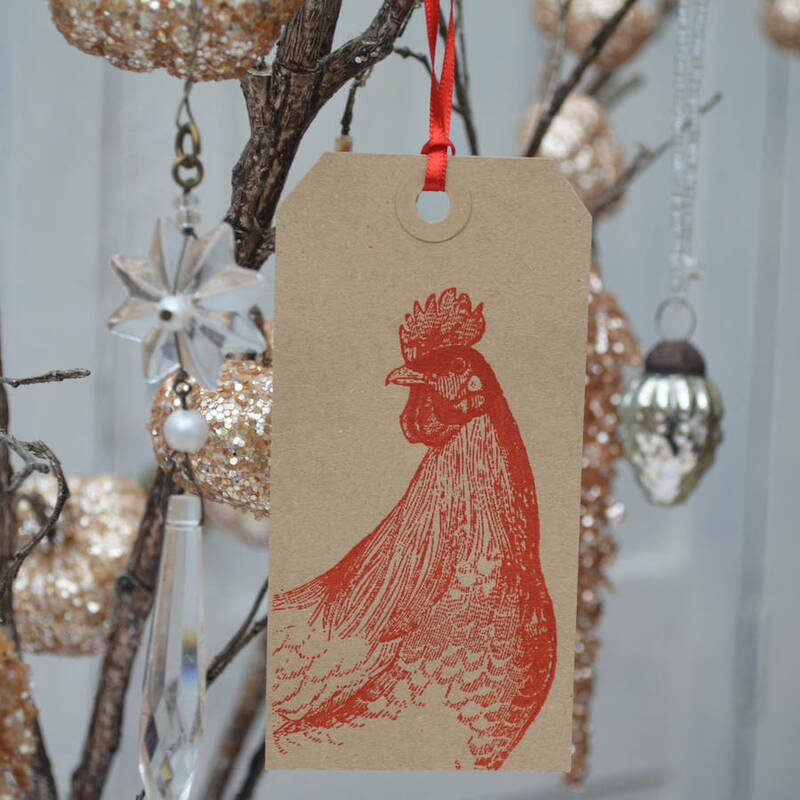 These manilla gift tags printed with lovely red birds and animal images will certainly add a fantastic flourish of style to all your presents. A perfect accent for a christmas present. 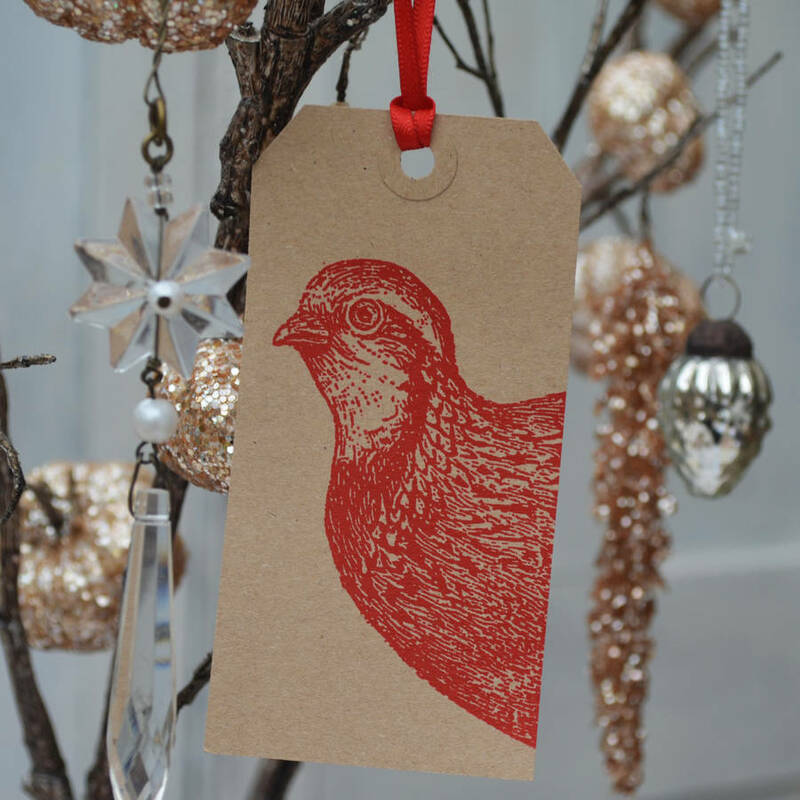 They are also great for many occasions such as place name tags for lunch or dinner parties, especially christmas dinner. 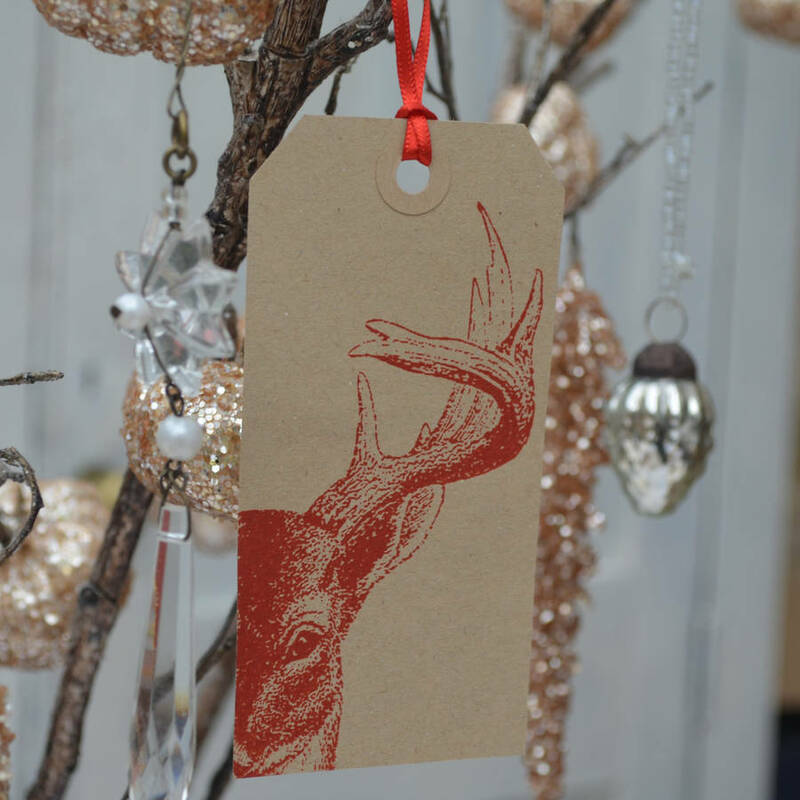 They would also make a chic and special gift tag for any present, party or gathering. They will make wonderful special gift tag for someone who adores animals, loves entertaining, or just wants an individual unigue tag unlike any other. I am selling these tags in sets of five different designs. 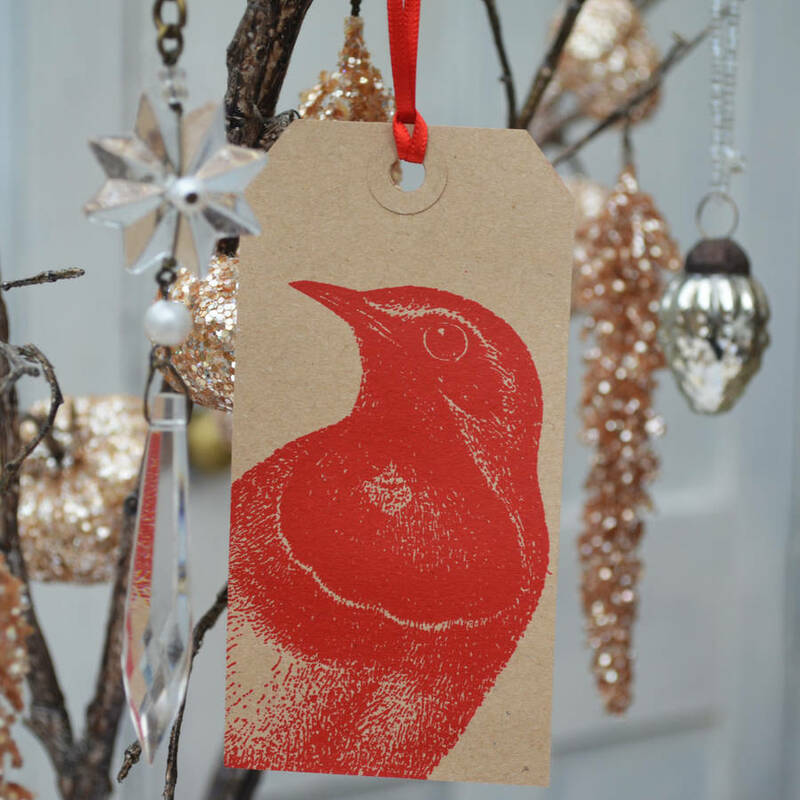 But why not choose to combine various designs and colours to achieve a quirkier personal eclectic vibe for your presents. If you wish to do this please contact me and I will be happy to make up a special set of your choice. 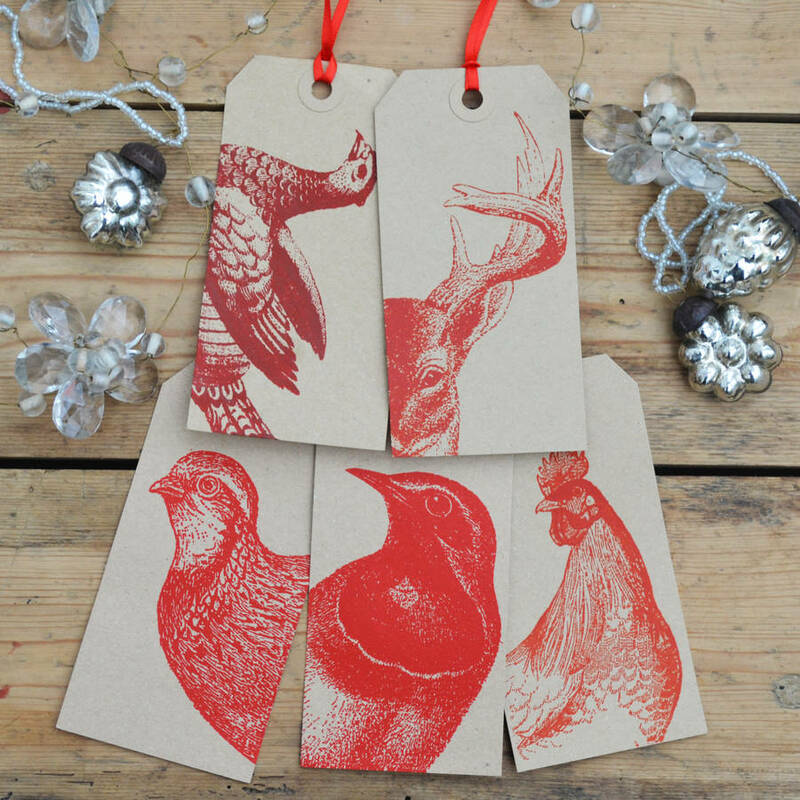 You can choose from many hand printed designs such as, Pheasant, Chicken, Duck, Turkey, Pig, Rabbit, Deer, Swan and more. Please see my other product listings for the whole range. These tags also match many of my hand printed napkins.